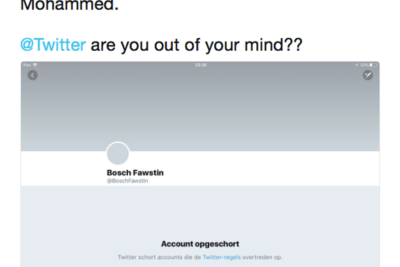 Twitter, run by leftists, has become an Islamic company, for all intents and purposes. 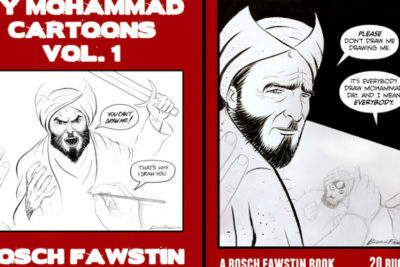 Volume One of My Mohammad Cartoons will contain a hundred of my Mohammad cartoons, in color and black and white, as well as new, exclusive Mohammad cartoons for this collection, and a new essay by me on Why I Draw Mohammad. The Islamic dictatorship of Saudi Arabia is lifting its 35-year ban on movie theaters. 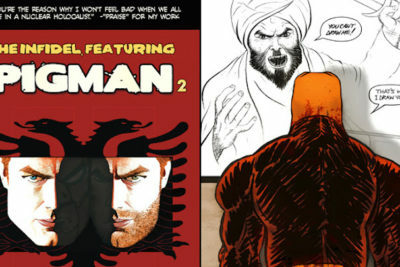 And while Western press appears to be celebrating it, the first thing that comes to my mind is that Hollywood’s pandering to Islam will become even worse than it is. Twitter just suspended my account this morning, on the first day of the New Year, 2018, with no specific reason given to me besides their claim that I violated their rules for “hateful conduc”. 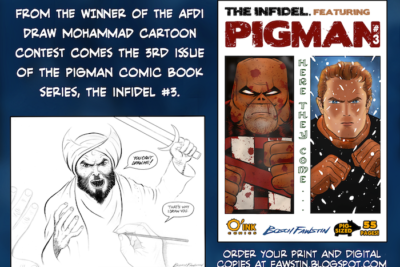 I just released the third issue of my Pigman comic book, The Infidel, which takes on Islam and Jihad. 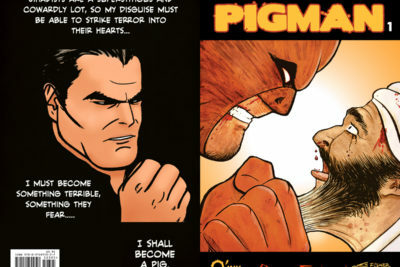 I released the first print comic book of The Infidel, featuring Pigman #1 last month. (1, 2, and 3 are available digitally on Amazon Kindle and ComiXology), and I wanted to take pre-orders Now for issue #2 before sending my first print order to my printer.